Julie, Just wanted to thank you for such a wonderful experience. 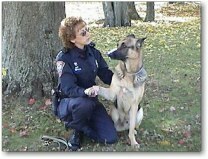 You have done a great service for both me and my K9 partner, Kaiser. I am so very relieved to hear that he is not in pain and that other than his aches and pains, which is normal for his age, that he is happy, content and is settling into retirement better than I would have expected. I am relieved to know all this as it has been weighting on my mind for some time now. What you have done for me I can't even begin to explain, it was wonderful. I do not know how to thank you enough, but I will certainly reccommend you to everyone I know that has a pet. Your work is beyond belief and so very useful. On behalf of Kaiser and myself, we thank you for this communication that is so very important to both of us. May the Lord bless you and keep you safe to do the work you are doing. Thanx again. Click on this picture for some special pet rescue videos! Meals On Wheels For Pets! If you are looking for organizations to help YOU or a friend with a pet but it's non-disaster related (such as financial assistance for pet owners such as those with limited resources who have a very ill pet), it's better to check my Good Links page first then see what's on this page. NOTE OCT 2008 I have considerably stripped this page down. It was getting tremendously long and burdensome with every link imaginable for Katrina and Tsunami relief and so on. Resources still do exist for such and similar disasters and are easy to find with simple 'net research and/or just asking officials and organizations (such as the ASPCA, Humane Society, etc.). I check the links on this page periodically. Most were re-checked Oct 2009. Please let me know if any links don't work - I know I hate seeing a link on a site and clicking on it and it doesn't work! so I don't want others to go through this. Pet owners, if a disaster threatens your area, you don't want your pets harmed, neglected or left behind. Following are some tips to help you prepare, cope with and take care of things when there's a disaster. For starters, HERE IS THE LINK to the Disaster Preparedness brochure from Homeland Security, developed in consultation with the ASPCA, American Kennel Club, American Veterinarian Medical Association and the Humane Society of the U.S.
Keep your pets’ vaccinations up-to-date. Ask your veterinary hospital for a copy of the brochure, "Saving the Whole Family," or go to http://www.avma.org/disaster/saving_family.asp. Make arrangements with a family member, friend or neighbor who will take your companion animal if you are unable to return home. Give them an extra garage door opener, spare key or tell them where a key is hidden. Know and make sure your family members know where your pets can go whether it’s a friend or family member, pet-friendly hotel, animal shelter, or boarding facility. Gather any relief plans developed by your local Red Cross chapter; emergency management office; or police, fire, health, wildlife and agriculture departments so you know where to turn for specific resources. Have on hand portable carriers large enough for your pets to stand and turn around in. Have a portable carrier for each cat, small dog, bird or pocket pet. When disaster strikes a community, essential services like water are often unavailable. Create a "Pet Emergency Kit" that contains food, water, medicines, contact information for your veterinarian and an authorization to treat your pets, copies of medical records, and pictures of your pets. Also have temporary ID tags that can quickly be filled in with local contact information for wherever you may temporarily end up. Place your content information, including the name of an out-of-state contact on your pets’ ID tags, microchip registrations, and licenses. Include leashes for each dog and cat (and collars for each dog) and extra ID tags. Make sure your pets are wearing a collar and ID tag with your names and cell phone number. Better yet, make sure all your pets have microchip identification and keep the registry current. Once you get to a safe location, apply a temporary ID tag with new local contact information (hotel, shelter, good Samaritan, etc.). Type or print up an "Emergency Care of Companion Animals" card and place it in your wallet. The card should state the number and type of pets in your home and who should be contacted in the event you are injured or hospitalized and can't return home. It also should list contact information for your veterinarian. Small current photos of your pets are great to carry in case you get separated from your pet (and/or the Pet Emergency Kit that has this same info) and need help in locating them. Prepare a pet first-aid kit with contents labeled and appropriate for each type of pet. Include this with your Pet Emergency Kit. This should all be a grab-and-go system. Even if there is "a lot", it should be as portable as possible, perhaps use a backback or two or something else suitable for your pets, lifestyle and transport system during an emergency. My own that I thought of ~ keep in mind that if a window breaks with you inside, chances are excellent that it'll catch you off-guard and you may be sitting there barefoot in your own home. Keep a pair of shoes in each room that has a window. You don't need to have to walk over broken glass to get to a pet who's also walking on broken glass...you get the picture. Just tuck away a pair of something which you can grab. Do NOT expect your pets to "act normal" during these stressful times. They may pee in the crate, ignore their toys, snarl and snap at you or other "helpers", not "go" at all (e.g. a cat) and the like. Just rapidly and efficiently get done the things you need to get done to secure and safeguard your, your family's and your pets' well-being and thing will iron out soon enough. It's like the old "put the oxygen mask on your own face first then your child's" in the airplane emergency instructions ~ it seems hard to imagine or even heartless but it only takes a little bit of time and is the correct sequence, or you both could suffer the consequences. You have to be "the Grown-up" during a disaster! Don't forget to comfort them as you can. You don't have to overdo it; on the other hand, make sure that they are aware that you are keeping an eye of them. You might want to every so often ask your dog, for example, "Doin' okay, Riley? ", pause and then acknowledge appropriately. "Good!" or "I know, I know - it's really scary! You're doin' good... good girl... Mommy's okay! Riley's okay!" (taili waggin' abounds etc... pet and reassure her, schnoogie her.. then get back to the business at hand). Let your pets see you watching them, taking a peek on occasion, glancing over their way. Just make sure they notice. IF you have to leave the vicinity, try to keep talking to someone or to them or aloud so that they continue to hear your voice. All of this is relative to whatever situation you're in but would certainly be applicable in a strange environment, a rescue facility, etc. While we're busy rescuing our pets, they are just as busy rescuing us with their ability to comfort us during difficult times. Stroking your cat, walking the dog or talking to the bird can help lower blood pressure, decrease stress and help lead us down the journey to normalcy and recovery. Post emergency contact numbers at your barn or on your pasture fence. Have sufficient transportation available for all your livestock or know where to obtain it. Train your livestock how to board the vehicles. Create a list of neighbors within a 100-mile radius of your home who would be willing to board your livestock if you are forced to evacuate. Form agreements with neighboring ranches and farms to help each other with disaster preparation and evacuations. Involve your family and neighbors in establishing an evacuation plan for animals in barns and outlying buildings. Have a supply of feed at a separate location, which could be air-dropped if the animals become stranded. Make up a kit with leads, halters, equine and bovine first aid kits, quieting hoods for easy transport, and water. Keep photos and a copy of your ownership papers or brands with you at all times in case you are separated from your livestock. There are numerous pet and animal related organizations one can help, and from whom one can receive help (such as financial assistance for when your pet or animal needs medical attention). Here are a few my clients run or recommend. This section is not limited to, but is primarily geared for folks who for example need financial help with their own pet (as contrasted to, say, the ASPCA). Medications can be expensive, but with an average savings of 24 percent, AAA Prescription Savings can help. The free, easy-to-use prescription discount program for AAA members and their pets requires no enrollment, and there are no claim forms to fill out and no deductibles. Use it any time your prescription is not covered by insurance. Simply print out a AAA Prescription Savings card at AAA.com/Prescriptions. Write your membership number on the card and present it to your pharmacist for immediate savings. For savings on pet prescriptions, ask your vet to write a script that you can fill at a participating pharmacy or through a mail-order service. To find a participating pharmacy, visit your local AAA office or AAA.com/Prescriptions. Julie's note: I've had this "plan" for some years now. It was incredibly easy to set up - I actually just brought my AAA card in and they put the data into the computer and the next time I came through with a script that my health insurance did not cover, they utilized the AAA plan and gave me a discount off of the cash price of the drug. There's one script my health insurance doesn't actually cover at all anymore (Armour Thyroid) so I since that went into effect, I fill it with the others at my local CVS and that one they charge me the discounted price for (and they "run it through" the AAA set-up, however that works at their end). The savings is about 10%. Walgreens and SweetBay Market's pharmacy do this as well - I believe all the local pharmacies do. I could conceivably do this for any and all my own scripts if need be. I have not tried it for any scripts for my dog Fox or my cat Danny and to be honest, if I'm at the vet and he tells me that either needs a bottle of some medicine that lasts a few days or a week or so (e.g. a steroid for an injury, an antibiotic for an illness), I just buy it from the vet on the spot and go home with it and my pet and use it. BUT if Fox needed something that was ongoing (e.g. a cancer vite or thyroid meds) I'd certainly look into getting my vet to give me a script and having CVS (or whoever) fill it and give me whatever percentage off! since my regular health insurance certainly won't "cover" a drug that's not for me and not even for my species! "I started a new pet group called PeopleHelpingPetsUSA in honor of my Choc. Lab Buddy. If you are a animal lover, love helping animals, have items to offer for a pet, or if you need help of some kind for you pet this is the group for you. Please tell everyone about my group and please feel to check it out the link is listed below. "As the benevolent arm of the American Animal Hospital Association (AAHA) Foundation, the AAHA Helping Pets Fund helps those in need access quality veterinary care for their sick or injured pets. We raise funds and award grants supporting veterinary care for pets that have been abandoned or whose owners are experiencing financial hardship." The Feb 2006 issue of Your Dog had a write-up about the American Animal Hospital Association's Helping Pets Fund. The AAHA Foundation "began the program last year for owners unable to afford veterinary treatment. They include those receiving government assistance, thowse experiencing temporary financial harship and veterinary clinics acting as Good Samaritans....In some cases, without care, the pets would have been euthanized. Member veterinary practices have provided the majority of donations...but the foundation is now soliciting individuals and corporations. Call (866) 443-5738 or visit AAHA Help-A-Pet. From their site: "AAHA would like to see every animal receive the best treatment, regardless of their owners’ financial circumstances. However, today too many pets go without veterinary care due to lack of money. Older adults, the disabled, and others on fixed incomes often can’t afford pet care. Pet owners victimized by crime, property loss, job layoff, or other unforeseen calamity can experience temporary financial hardship, limiting their ability to get help for a sick of injured pet. Good Samaritans rescue abandoned animals but cannot be expected to pay for essential veterinary care. An urgent need exists to make sure no pet goes without necessary care because of lack of money." "Angels4Animals, a non-profit organization and a program of Inner Voice Community Services, has a mission to serve as the guardian angel of animals whose caretakers find themselves in difficult financial situations. At Angels4Animals we believe that animal owners should not have to say goodbye to the animals that they love. Our work is accomplished in conjunction with veterinary clinics across the country, eager to assist as many animals, and their owners, as possible. Our services range from financial aid to complete treatment to those pets and pet owners in need." BOXER RESCUES throughout the US and two links to Florida boxer rescues. Enhancing the human-animal bond through hands-on training and educational workshops. "Fresh Start Sheltie Rescue, Inc. is a nonprofit 501(c)(3) organization dedicated to rescuing and rehabilitating Shelties that need a 'Fresh Start' in life. 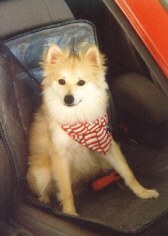 We take in Shelties that are abandoned, lost, mistreated, or no longer wanted. We do not have a shelter facility; therefore the dogs in our program are housed and cared for in our network of dedicated foster homes. Our special rescue Shelties will be available for adoption after they have been vaccinated, spayed or neutered, checked (and treated if necessary) for heartworms, checked (and treated if necessary) for parasites, and groomed." Georgia Lab Rescue (GLR) is an incorporated, 501c3 non-profit organization dedicated to the protection and rescue efforts of Georgia’s Labradors. I'm not sure how currently active they are. ONE OF THE MOST WELL-KNOWN, IMOM's Mission StatementHelping people help pets. To better the lives of sick, injured and abused companion animals. We are dedicated to insure that no companion animal has to be euthanized simply because their caretaker is financially challenged. Since 1998 hundreds of companion animals have been spared from euthanasia or lives filled with pain, with financial aid from IMOM. Hundreds of thousands of dollars have been paid out to veterinarians and pharmacies nationwide. Please, we need your tax deductible donations so we can continue to help Pets in Need. (c) are currently at a shelter with which LLL has a current Memorandum of Understanding in force. This assistance can take the form of, but is not confined to, medical assistance, supplies, and transport to foster and permanent placement homes. Funds will be disbursed according to a set of eligibility guidelines as implemented by LLL." an animal down or neglect urgent medical needs because of the costs involved. The purpose of the Pet Fund is to work towards a future where decisions about companion animal medical care need never be made on the basis of cost." "The LifeLine Grant Program provides funding to Good Samaritans, animal rescuers, non-profit organizations and pet owners to help them care for animals in life-threatening situations. Learn more about our various LifeLine Grants and find out the eligibility requirements by following the links below." "Most of us can cope with the financial commitment involved in the day to day care of our pets. However, how many of us come out in a cold sweat when our pet is ill or injured and we know we have to take it to the vet? Most of us are fortunate enough to be able to afford it but, some of us who love our animals dearly cannot. Unfortunately we do not have a PDSA or a RSPCA Centre within our area, but there are a few charities who may be able to help." These organizations/activities DO do other things but the write-ups I have right here are focused only on a Fundraising aspect only. HUMANE SOCIETY POSTAGE STAMPS "20% of the net sale for all Humane Society Postage Stamps goes to support the programs of The Humane Society of the United States." Please see this link on their site. Also included after the article are links to other resources/tips for Foreclosure Pets "To further help homeowners, mortgage lenders and shelters address the needs of companion animals during this difficult time, American Humane offers several downloadable resources (see the box below)." Just go there and you'll see the reference box. "...No Paws Left Behind can help homeowners find alternatives to abandonment by finding shelters or foster homes for their pets. With pets being categorized as personal property, not much can be done by the lender when the home is in the process of foreclosure. It is far better for displaced homeowners to give their pets to a shelter where they will have a chance than leave them with the house..."
Also - if you are a No Kill shelter or provide foster care, please contact them and see if you qualify for financial assistance. I called the number to confirm that this is for real, it is. You can receive an award of up to $5,000 for information leading to the arrest and conviction of a dogfighter. -- All information is kept confidential; no one will know you've called. The line is answered 24/7. -- You can leave a message, talk to an investigator, or get their e-mail address and leave your own. If a dogfight is in progress, immediately call the police, 9-1-1. Then call the hot line. Meals on Wheels for Pets? We All Love Our Pets! ~ W.A.L.O.P. Do you know anyone who can find room in their heart and homes to foster a cat for the military? Please click here. to read about it / participate / contribute / share the link with others / spread the word. Another group, Military Pets Foster Project, http://netpets.org, offers the same service for cats, dogs, birds, fish, and even horses. Soldiers are asked to pick up food and vet bills though most fosters decline the food money. Please click here. to read about it / participate / contribute / share the link with others / spread the word. NOTE this also applies to Military hurricane victims (any hurricane, not just Katrina), that is, they're deployed and their pets are Stateside and help is needed due to a hurricane. 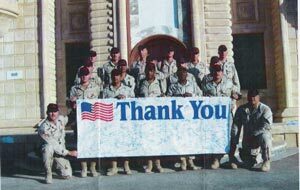 See this page: MilitaryPetsFOSTER Project, go to the "Special Notices". "The website below gives more information about a not-for-profit group whose mission is to help foster pets for soldiers while they are deployed overseas. Prior to the establishment of this organization, upon deployment soldiers had to either pay someone to foster their pets or turn over their pets to the pound. This program – a member of the President’s Volunteer Service and “America Supports You” Military Team for Troops (they work with the USO) – functions as a great morale booster for the soldiers because many of them are concerned they might get killed in action and fear that their pets would be orphaned if that should happen.Take a look at the website, and if you know of anyone who has the heart to consider this group, please forward the website accordingly. All who volunteer must provide references." Take a bit of time to read it through, it's got some helpful ideas! NOTE: To make it easier to read without all the ads and distractions, find the "Print this page" link on the right side a few inches down and click on that. It'll give you a clean, easy-to-read copy of the article you can read onscreen or print. In the Aftermath of Katrina, Do You Need to Take a "News Fast?" Do YOU need help or know someone who does? http://www.charitynavigator.org/index.cfm/bay/content.view/catid/68/cpid/310.htm and read up on donating. Go Daddy gives $250,000 to help with Hurricane Katrina relief effort. Beware of fund raising scams. The safe way to donate. Research charities before sending them money and do not respond to e-mail solicitations for money. The Better Business Bureau has a charity research page at http://www.bbb.org which helps identify legitimate charities. Their home page is Network for Good: networkforgood.org in case you want that. For those of you so inclined, there are links specifically focusing on animals/pet rescue, care, relief. This site also has links to just about any other known, reputable relief donation and contribution site around. Here is a bunch of unique ways you can donate to the Red Cross! Ways have included eBay airline tickets, Hilton hotels, checks, first aid kits, Christmas ornaments, etc. Check it out! NOTE You can donate to the United Way using PayPal. Per an email received from PayPal, "The United Way Hurricane Katrina Response Fund has been created to help those affected by Hurricane Katrina rebuild their lives. Funds will be allocated for both front-line disaster relief and long-term recovery needs as determined by local United Ways in affected areas. To donate please go to https://www.paypal.com/KatrinaReliefEffort (which is their "Hurricane Response Fund" page) and click on the "Donate Now" button. PayPal will waive all fees associated with the donation." MercyCorps: 888-256-1900 Find the Donate Now dop-down box (upper right part of page) to select what you wish to donate for (including "Katrina Rebuilding", Peru earthquake, North Korea flooding, etc. ); take your pick. For more organizations on how you can donate or offer goods and services, visit Network for Good (already mentioned on Aunt Julie's site, above) or GuideStar. For a list of local resources and relief funds visit Council on Foundations. Lousiana Homeland Security and Emergency Preparedness Includes the recent Press Release "Louisiana Department of Agriculture & Forestry Animal Owners Prepare Now for Hurricanes"
For disaster and hurricane insurance information, visit the Hurricane Insurance Information Center ~ a good link! For other assistance, try to call state and local organizations to find help. For example, the Texas Medical Association or Dallas County Medical Society might know where Hurricane Katrina evacuees can go for free or low cost immunizations or medical care in the North Texas area. State and local health departments ~ a very comprehensive list of links, categorized by type! ~ might also be good places to look for health services if you are an evacuee. Local churches and charities, including your local food bank, might also be good places to find assistance for your family, including things like baby formula, diapers, and clothing. The Bush-Clinton Katrina Fund (mentioned above) also offers Grants for projects to assist. Go to their main link and click on Apply for a Grant for details and the online Application Form. "KATRINA RELIEF and FUNDING Links made possible by Google and The Emergency Email & Wireless Network"
The Cantor Fitzgerald Relief Fund was founded with the mission of providing direct aid and support to victims of terrorism, disasters or emergencies. Founded in the wake of the September 11, 2001, terrorist attacks on the World Trade Center, the Relief Fund has raised and distributed over $150 million to over 800 families and 950 children of the victims of that tragedy. More recently, the Relief Fund has expanded its scope to include natural disasters such as the December 2004 tsunamis in Southeast Asia and the ongoing devastation caused by Hurricane Katrina in the Gulf Coast. The Cantor Fitzgerald Relief Fund is unique in that it provides assistance directly to the people affected by these tragedies without intermediary or secondary organizational involvement: 100% of the money donated to the Cantor Fitzgerald Relief Fund will be disbursed directly to the families of lost loved ones. Cantor Fitzgerald Chairman and CEO Howard Lutnick and the partners of Cantor Fitzgerald underwrite all the expenses of the fund so that 100% of each and every dollar raised goes directly to victims' families and children. This is one of the ONLY funds that does not take any money out whatsoever. 100% of your donation will go right to the families. Here is the link; when there, go to the Our Mission part of the page (scroll down). Angel Network ambassadors John Travolta and Kelly Preston loaded up a jet and landed in Baton Rouge, Louisiana, with five tons of supplies. They came bearing blankets, pillows, diapers, water and food for the thousands of families that have sought shelter near the state capitol. Four 18-wheelers filled with food-thanks to donations from the Angel Network-met John and Kelly at a shelter that housed many of Hurricane Katrina's evacuees. "So many of these people have such hope and such life and such determination," Kelly says. "It's really beautiful." Lisa Marie Presley also shares a message of hope for the survivors - along with a truck full of food and supplies! Lisa Marie Presley is lending a helping hand in Memphis, Tennessee. "I'm here," she says, "because I definitely needed to do something, and it just so happens this is where I'm from. I'm going to do everything I can. People need help-this is a huge catastrophe and everyone needs to stand up." First stop is a food bank, where, with the help of FedEx® and Kroger®, Lisa Marie loads a truck with groceries. Then it's time for a pit stop at Target® for toiletries and clothes. "I thought I was going to grab a couple things at the store," Lisa Marie says, "and I ended up filling up a truck. I went a little crazy." Lisa Marie's final destination is the Grand Casino Convention Center to distribute the supplies to people who have lost everything. One evacuee says, "I really appreciate everything Ms. Presley is doing for us. We have nothing, so we're very grateful for everything she's doing." Pet Communicator-wise, what's the best way to handle a Hurricane Katrina (or similar) victim or surviving pet? Including: one you've lost. One you've rescued. One who's passed over. UPDATE DEC 10, 2008 The database is still in use. I'm sending this email to ask for your help. The wildlife rehabilitators in Houston, TX are swamped with baby animals from hurricane Ike. I have a area on my home page where you can donation to help these animals. I will be sending formula and supplies to them. Houston rehabilators need your help. they are taking in 100's of baby squirrels and other wildlife. Please make a donation today. Your donation will help send formula and supplies to them. Here's an interesting and simply way to donate without personal cash or time outlay, if this is what works best for your lifestyle. It takes me literally less than a minute per day. Many of you have gotten some "forward" on the 'net about this, done it once or twice, then forgotten. 100% of sponsor money goes to charity. and click on it. In doing so, you have just "donated"! "Each click on the purple "Feed an Animal in Need" button at The Animal Rescue Site provides food for an animal at North Shore Animal League America or at one of the Fund For Animals' world renowned animal sanctuaries, including the Black Beauty Ranch in Texas and the Wildlife Rehabilitation Center in California. Funding for food is paid by site sponsors, whose banners appear after you click the purple button, and goes to our aforementioned charity partners." Again, all you do is click on the purple link box. After a slight pause, another page will display. You're done! Of course, you can proceed as you wish (buy from the sponsors, etc.) but the point is, the "donating by clicking" part is already done. How to make it super-fast? I personally hate searching "Favorites", even when well-categorized. I've simply got too many of them and too little time. Look to see if your ISP software has any capacity to streamline things. Example: I'm on AOL so I utilize what they have to offer. One feature they have is the capability of adding some "favorite places" to the AOL toobar. I did this: I made an icon which links to the above "Click" site, labeling the icon simply "Click". There it sits on the toolbar waiting for me to use it. Yeah, right I got too busy even to remember to do that daily! so I thought, how do I remind myself to do this without it now turning into yet another irritating naggy thing to do while online? Turns out, the Click page has a link on the left side for a daily reminder service. Click on that link and it will take you to this page. NOTE when you sign up for email reminders, they send them Monday through Friday; you must opt for Saturday and Sunday. I did so. The email arrives daily, the subject line reading, "Your (Monday) reminder: Help animals in need with a click!" and it comes from reminder@thehungersite.com. Whenever I see it, I am so reminded, and I immediately click on my icon on the toolbar that I created, go to the Click page, click on the purple box and bada-bing I'm done. I then delete the daily email so that they don't accumulate and glut my incoming email lines (which also irritates me) and so that the next day I'll notice the new one because, well, it's there! Takes literally less than one minute to do the whole thing. See what your software can do for you! What works for me is NO MATTER WHAT I'm doing, reading from my emails, fussing about, whatever, as soon as I see or notice that reminder email, I glance up to the toolbar, see the word "Click", and proceed. I DON'T put it off. IF I don't do this that way, without compromise, I will see the email and forget to do it, get distracted, it's all over. That's me; you may be different. For me, it's like that Nike ad campaign says: Just Do It. "Started by Mimi Ausland, a 12 year old girl from Bend, Oregon, who wanted to help feed the hungry animals at her local animal shelter. 'There are 10’s of thousands of dogs and cats in animal shelters across the country, all needing to be fed a good meal.' Say hello to freekibble.com and freekibblekat.com! Freekibble.com's primary mission is to provide good, healthy food to dogs and cats to those shelters who are working so hard to see that none of them go hungry - they need our help." Go to the page. Do the trivia quiz (takes 2 seconds). Regardless of whether your answer is correct or incorrecct, each time you do the quiz (and each time is a different question!) 10 pieces of kibble are donated to a Shelter. There is a canine version and a feline version; I do both. It's fun, quick and helps out! I do the same thing as above where I have daily icons for each + an email reminder. The mission of the American Humane Association, as a network of individuals and organizations, is to prevent cruelty, abuse, neglect, and exploitation of children and animals and to assure that their interests and well-being are fully, effectively, and humanely guaranteed by an aware and caring society. Here is a list of many organizations and sites. If you are in need of help (or wanting to donate) please do check them out. Some may have already been mentioned or covered in some other part of this page. I checked the links Aug 6, 2006 and many since - Some of the write-ups are "dated" from that time period but all links are still valid. Tuesday, 6 September 2005, 9:30 pm EST ~ HSUS is the lead national humane group working in Mississippi under the direction of the Board of Animal Health. Their support teams are setting up major staging areas in the coastal county of Jackson near Gautier and in Hattiesburg to serve as their primary operational bases. Tuesday, 6 September 2005, 9:30 pm EST ~ The American Humane Association is working with a host of animal welfare organizations to find, rescue, and care for the hundreds of animals still stranded or unaccounted for after Hurricane Katrina. Many American Humane volunteers are caring for pets at a temporary animal shelter in Lafayette. Other American Humane volunteers are in New Orleans with boats, gear, and specialized skills to rescue animals in flooded areas. We're coordinating back-up resources to get more support to the shelter in Gonzales that is caring for abandoned animals. Would you like to volunteer for the American Humane Society? "If you are willing to do dirty, hard, hot work on behalf of animals as a skilled Responder......." Click here and look for the relevant link to help out. Best Friends Sanctuary is renowned for taking in and helping animals (and of a large variety of species) BUT like anyone else, they can only handle so much traffic and so many animals so try to keep your requests as "no other choice". They commented to me recently that they get about 1,000 email requests for help a week. (This does NOT mean you should not try if you feel you need help with "what to do" with your animal!!! Some folks do need to "give up" a pet, for example.). I was able to get some contact info from them: Animal Issues Help Department (435) 644-2001 x 4800 or email animalhelp@bestfriends.org. Not only are there links but they're working on a database to aid the pets affected by Hurricane Katrina, and there's a link to their Message Forum. / You should check out their site newly to see what they hvae to offer in general. Check out their overall site to see what they have to offer in general. Check out to see what they are actively up to. Note from that time period: One hundred percent of donations received at CAAWS for the Hurricane Katrina fund will go directly to assist the animals displaced by Hurricane Katrina. Tuesday, 6 September 2005, 9:30 pm EST ~ The Louisiana Department of Agriculture and Forestry, the Louisiana Society for the Prevention of Cruelty to Animals (LA/SPCA), the Louisiana Veterinary Medical Association (LVMA), the Louisiana Animal Control Association (LACA), and the LSU School of Veterinary Medicine (SVM) are managing animal evacuations and recovery plans for New Orleans pets and displaced animals, which includes managing a hot-line for pets needing rescue, coordinating the activities or professional animal rescue volunteers and assisting with emergency animal shelter operations throughout the state. Over 600 animals are being cared for at LSU’s Parker Coliseum, as they have received animals evacuated from five veterinary clinics, two animal shelters and from people who are located at associated Red Cross shelters. They are still accepting animals. From the write up on LSU's site: Hurricane Katrina Emergency Animal Shelter at LSU AgCenter's John M. Parker Coliseum. Visiting Hours for Owners Only: 8:00 AM until 9:00 PM daily. "Our Mission: To provide loving care and shelter for pets until they can be reunited with their families who were displaced by Hurricane Katrina. NOTE: Rumors that we have run out of room are NOT TRUE. We have plenty of space and are still accepting animals. We will remain in operation as long as necessary to reunite as many people and pets as possible." Aug 6, 2006 note / link: The LSU Emergency Animal Shelter is now closed and all animals have been conditionally adopted out through local and remote shelters in other parts of the country. The main condition of the adoption is that original owners can reclaim their pets if they make this claim prior to January 1, 2006. One hundred percent of your generous donation will be used to assist animal victims of natural disasters, such as Hurricane Katrina. AKC CAR does not retain any portion for administrative purposes. Online: You can contribute to the AKC CAR Canine Support and Relief Fund online through an account in the AKC online store. If you have an account, simply log in and click on the Donate to Support and Relief Fund option. If you don't have an account, it takes less than 60 seconds to create one. Phone: You may also call 800-252-7894 to make a donation to the AKC CAR Canine Support and Relief Fund. Note: If you are looking to help or need help in the aftermath of Hurricane Katrina, please email us at seekhelp@akc.org. Note from that time period: This New York state animal rescue group is sending two vans and a 32-foot mobile animal rescue unit to the Gulf Coast to help rescue and care for animals affected by the hurricane. The grassroots Project Starfish http://www.projectstarfish.org , a 501(c)(3) non-profit corporation located in Boston, MA, is connecting the thousands of people in the US who want to help animals displaced by Hurricane Katrina. I am including them on my site so that they are not overlooked in case they go operational again in this capacity (plus they at least at that time had an active site and suggested checking it periodically for updates). Go to: http://katrinafoundpets.com/links.htm Aug 6, 2006 note Go to their site and look over their current resources and activities. Click on the Hurricane Katrina link which takes you to what appears to be just a donation page. There's a gem on that page: under More Information you'll see "To find the most up-to-date information about the Veterinary Medical Assistant Team efforts deployed to the areas hit by Hurricane Katrina, please click here." That link takes you to their Disaster Situation Reports. You want to know what's going on "behind the scenes"? These are a must-read. They've got Shelter info and Disaster updates and the like at this link. Check out their How you can help page. It's very comprehensive down to We need batteries or We need alirline tickets, type of thing, and it's updated all the time. There's a lot of current info about what's happening where. Look for their Application for Support, if need be. MUTTSHACK DOG RESCUE is registered through the ASPCA and Homeland Security office to provide Katrina animal rescue and relief work. Their website http://www.muttshack.org is updated regularly with news and information and how you can help them in this effort. You can also donate money to the group through this siteand volunteer for animal rescue work. If your pet is microchipped, make sure you contact the chip company (the two in use are Avid - and their PetTrack service - and Home Again) and update your contact information. Their contact information is below. If you're in a Shelter or staying with relatives or strangers or whatever it is - let the microchip company know as best you can how you can be reached. If someone picks up your animals and scans them and finds your chip, wouldn't it be great if that got your pet back to you?? If you have adopted or are fostering a displaced or other rescued pet, always have a vet scan for a chip MORE THAN ONCE. Find that lil' bugger if it's traveled at all in their body! Spread the word about this. Remind vets and shelters to scan pets (two or three times, too. I've heard too many times about the first and second full body scan did not detect the chip...and the third time did. One story had the chip in the dog's foot, another it had traveled all the way to the tip of their tail.). Tell others to pass it along as well. ...even the animal "victims" pitched in!